How come you can't purchase any Jaguar homebrews via AA store? Edited by Mark T, Tue May 31, 2011 11:57 AM. 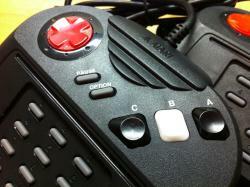 The majority of homebrew games for the Jaguar have been released for free by their authors. A few exceptions, like Madbodies, are no longer available from the developers but they do pop up on eBay and in the Marketplace every now and again. Just thought i'd update this stating that Blackout! Is still being worked on and has been optimized dramatically and is well under way on development. This had been shelved for quite some time since development started back in march of 2009 but has been picked back up and should be slated for a Jaguar CD Release eventually. 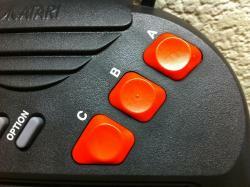 I have just started offering "Atari Orange" Replacement Buttons for Standard Atari Jaguar Controllers. I never liked that the Jag shipped with Red Controller buttons while all the classic Atari systems shipped with Orange buttons....Trivial? Maybe..but I like Orange better than Red so..there you have it.. I am currently offering a small run of 10 sets of buttons. One set contains a single "A,B AND C" button and will mod one controller. 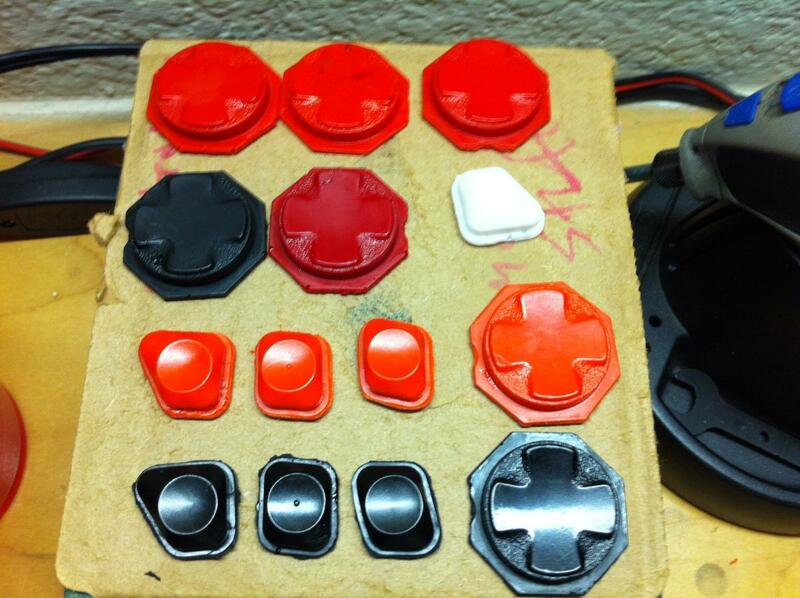 I can make buttons and D-pads in White, Black and Orange. If anyone is interested check out my ebay listing and drop me a message. I am going to be offering whole controller shells in different colors as soon as I can get some additional funds together to buy the materials. Edited by Judas-Prime, Mon Apr 16, 2012 1:56 PM. 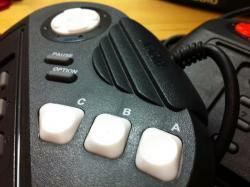 White controller shells with white or black buttons would be really cool. is it made of injected plastic (iron moulds) or made of resin (silicon moulds) or even somtething else? Edited by Felyx, Wed Apr 18, 2012 11:33 AM. The buttons and D-pads are made from 2 piece silicone molds and filled with plastic resin. 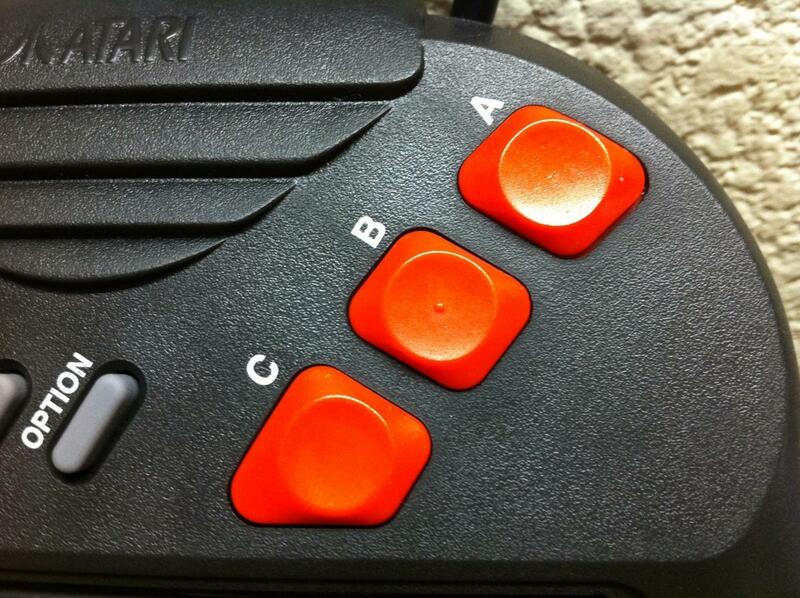 The Retro Orange Theme in the back and the New "Blackout" Theme in the foreground. Edited by Judas-Prime, Wed Apr 18, 2012 7:01 PM. 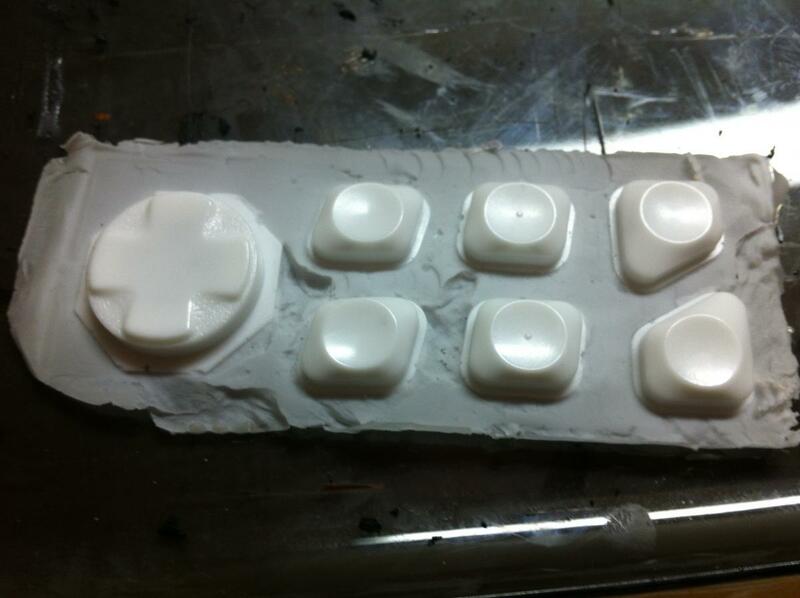 Heres a shot of a fresh batch of Ivory buttons and a D-Pad. Crystal blue translucent buttons would be nice to feature a blank joypad as it would be perfect for the white "dentist" version of the Jag. I wonder if the guy in USA has still some Jag white cases to sell. I have reposted this into its own topic and out of the homebrew thread. These two projects are still in development or are abandoned? 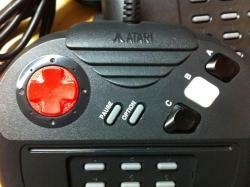 Even it it was posted on July 2011 I guess it is still valid and the dev of Atariowl is going on. Lars and I are still in contact. I won't speak for him, but for me, its just not a priority at the moment. There have been very substantial demands on my and Raven's time which have taken precedence for a while now. When this changes the intention is to push on. Keep firm. Never give up. Your project and Eerivale are the most promising projects here. I do not decry the other projects, but independent productions so call me when they draw attention to the full power of the hardware, and show that these two projects, mainly his. It does not really interest me see the Jaguar game projects that are technically infinitely poorer than the 16-bit games. Edited by Edi (FZ2D), Mon Aug 20, 2012 1:23 PM. I'm not sure if this is the place to do it, but I wanted to put myself out there as a pixel artist looking to contribute to some Jag homebrew. Whether it be a port of some kind or an original project, I'm interested in volunteering my services. Anyone need someone on art? 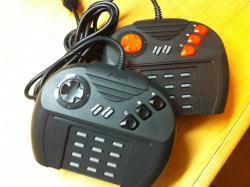 skunkboard, impulse x and another world need updating. smac/sln could be updated but are tools appropriate to this thread? there have been a lot of tools released and then there are crossover end-user "things" like qUaKe... only games and hardware makes sense in this thread. this thread really needs regular updates and stripping of chatter (just have the info posts, not the blah afterwards such as this post). The status of Another World has been updated. 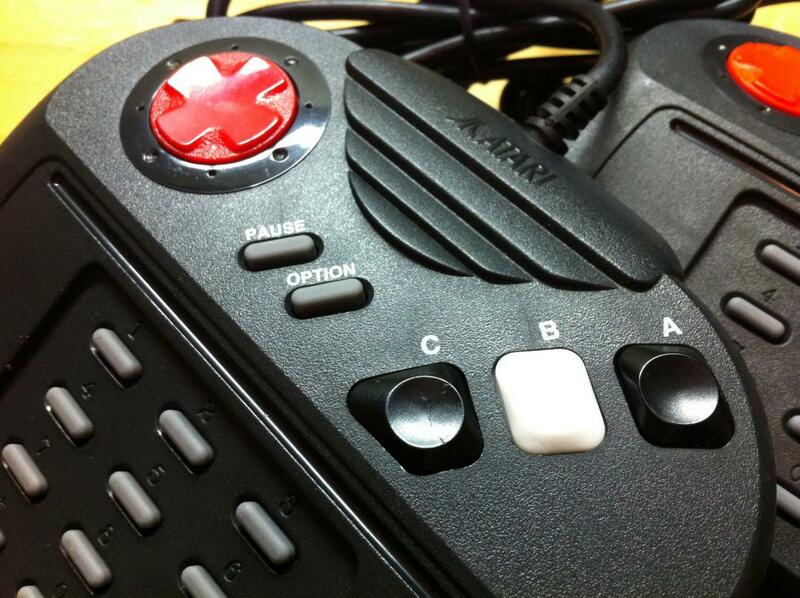 For the Skunkboard and Impulse X, either contact Atari Owl or ask Al. If anyone would like to take over running the half of this thread i was looking after please let me know. I no longer have the time or inclination. Edited by Atari_Owl, Mon Jul 15, 2013 6:41 AM. I'm willing to keep the list updated, but it means I would have to edit your first post, and I don't know if Albert can allow that. Otherwise we'll have to create a new topic.